The Italeri kit (No. 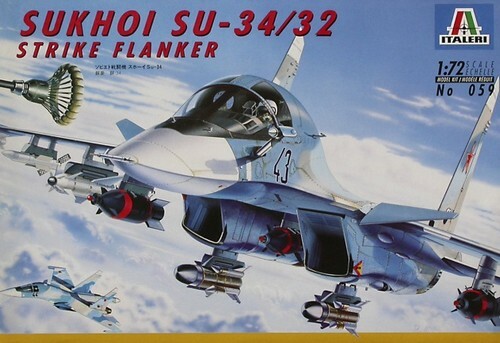 059) issued in 1995 is of another Flanker development, the Su-34 "platipus" is also shown. 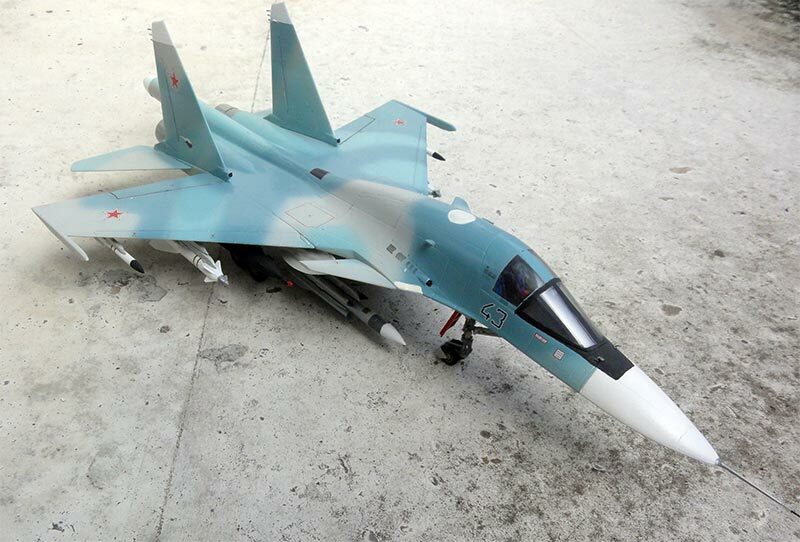 It is comparable with the western F-15E/F-111 in the ground attack role. 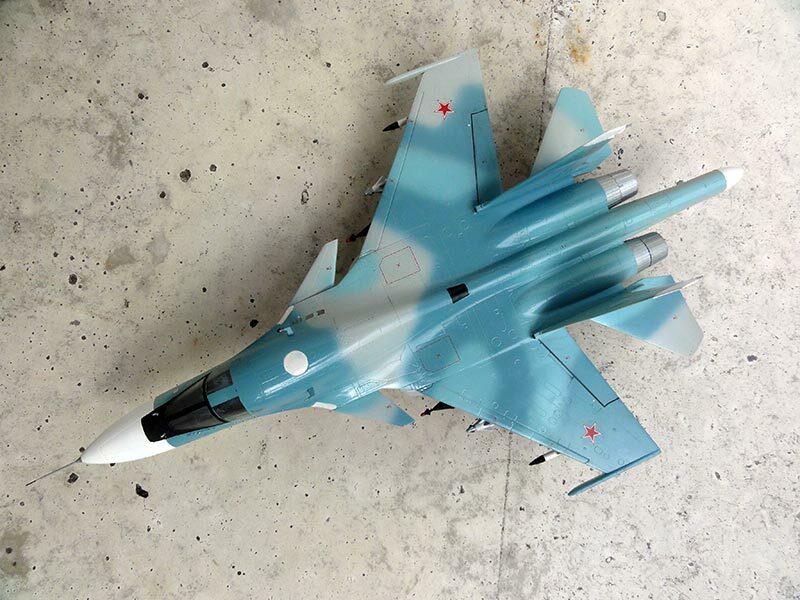 The type has the NATO name "Fullback", of which about 120 aircraft are to be used in the modern Russian AF the next years. 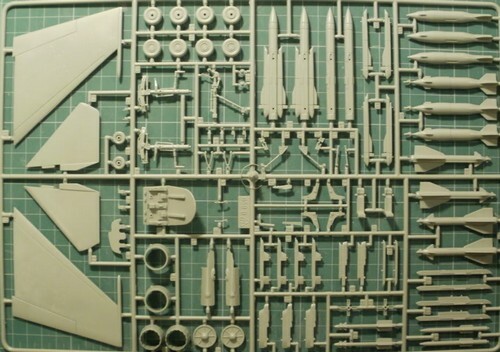 The Italeri kit is fairly good and can be build straight out of the box. 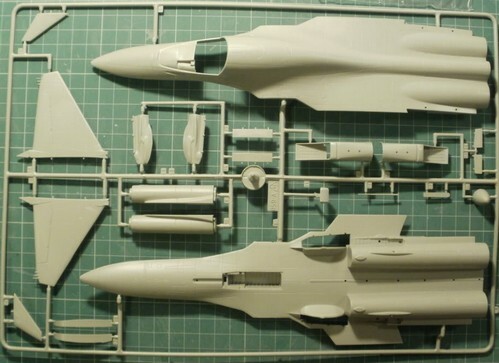 The only major modification suggested is to extend the width of the fuselage at the tailsection. 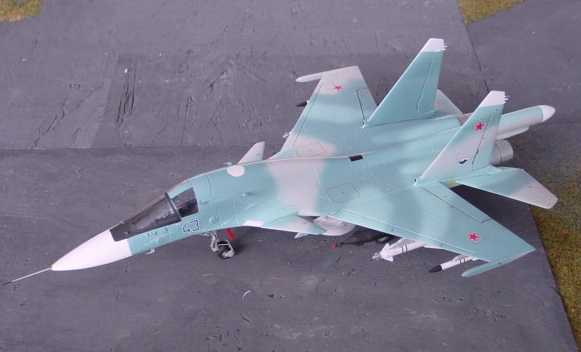 The vertical tails should should be flush with the fuselage contour, so I added 2x 2mm of cart at the base. 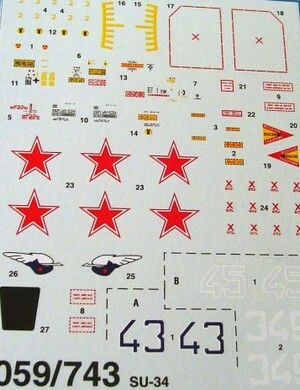 This is best done at stage 4 of the assemby shown in the kit's instructions. 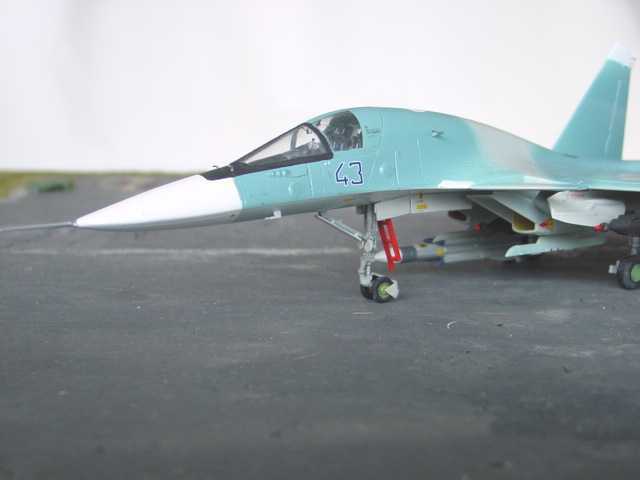 The kit was finished in the blue scheme, using Xtracolor X138 and X139 enamels with white and the kit's decalsheet. I also added a crew access ladder in the nose undercarriage bay.